The inaugural camp, which was the result of a collaboration among FSU’s College of Education, the Evergreen Heritage Center in Mount Savage, AmeriCorps and the Allegany County Public Schools, was also attended by four other students during the summer of 2018. The purpose of the hands-on summer camp was to engage students interested in both STEM subjects and in teaching; however, learning didn’t end when camp ended. The culmination of the camp was to teach a lesson to area students during the school year. Mulcaster and Brown used teaching tools and technology introduced to them at camp to explain the importance of clean water. The class of second-graders then discussed ways they can personally help keep waters free of pollution. 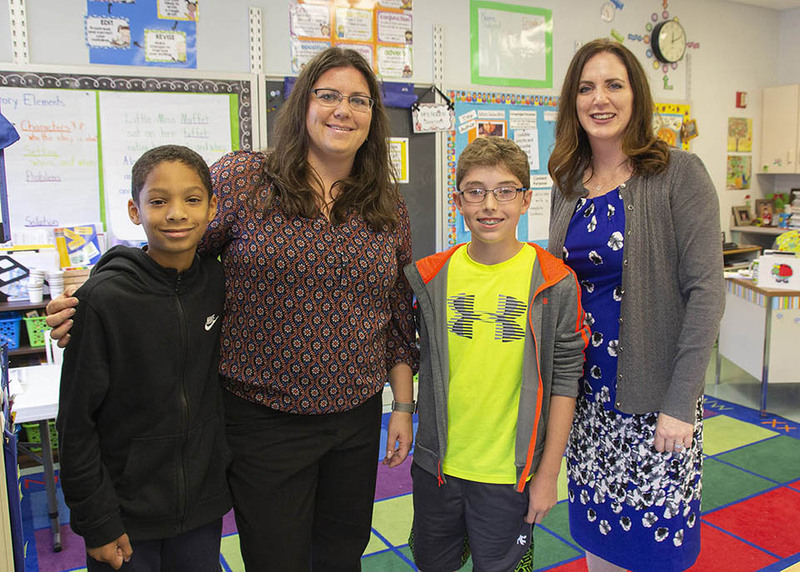 Although nervous about presenting lessons to the second-grade class, Mulcaster and Brown agreed that the experience was positive. “I definitely recommend it to a lot of kids. Fun camp,” said Brown. For more information about F2T2, contact the FSU College of Education at 301-687-4759. 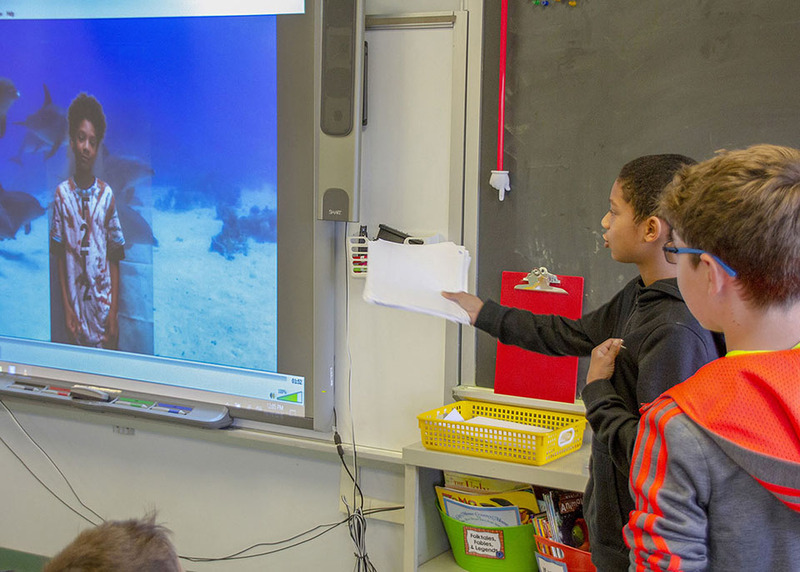 Mount Savage Elementary/Middle School seventh-graders Jalen Brown, left, and Ackerly Mulcaster teach a lesson on the importance of clean water to second-graders at their school. They learned about the topic and how to teach it at the Future Frostburg Teachers Teaching (F2T2) camp over the summer. The Mount Savage students and the FSU faculty who assisted them are, from left, Jalen Brown, Sarah O’Neal, Ackerly Mulcaster and Dr. Jennifer Rankin.